This summer, thanks to our Associates’ generosity and their Giving From Within (GFW) campaign, they made two significant purchases possible for the Alice and Shoreline hospitals. 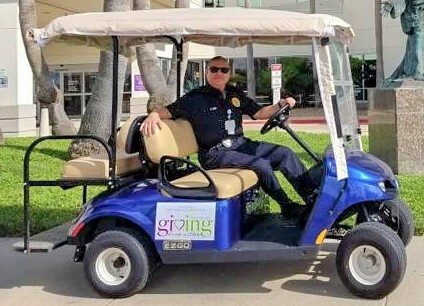 In Alice, the security operations team received a new E-Z-GO golf car to help patrol and secure multiple parking lots. The new gas-powered vehicle allows the security team to respond to areas around the campus quickly and with ease. At CHRISTUS Spohn Hospital Corpus Christi – Shoreline, two LUCAS 3.0 Chest Compression System devices were purchased for the Emergency Department. 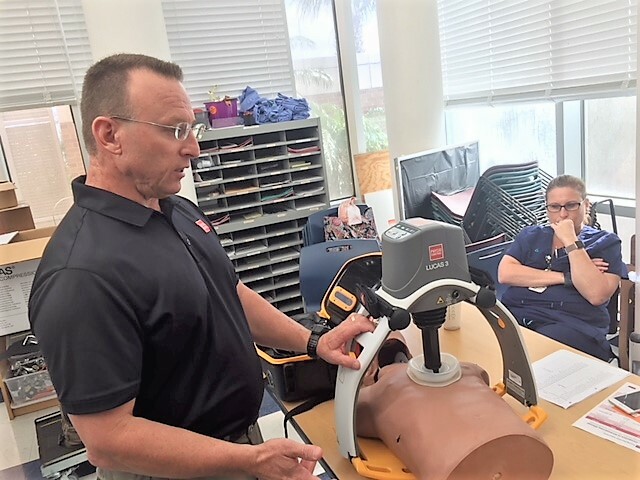 This life-saving device is designed to help improve outcomes of sudden cardiac arrest patients by delivering automatic and consistent, high-quality chest compressions even when doctors are on the move. CHRISTUS Spohn Associates provide high-level clinical care to our patients and generously support the health system financially through the GFW Fundraising Campaign. The campaign is an opportunity for Associates to make a personal, meaningful gift in support of state-of-the-art equipment purchases, hospital updates, health education courses for Associates and even clothing for patients who have had a catastrophe and need help. Our Associates truly extend our mission to extend the healing ministry of Jesus Christ in meaningful ways for which we are very grateful.